Important UPDATE for the Crawfish Boil -- Now SHRIMP FEST! For more information, read below! 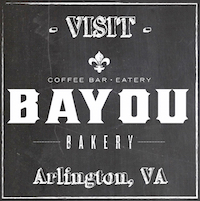 Comedy Night at Bayou Bakery - Arlington!